Baby it’s cold outside. There are many ways to warm up on a bitter cold evening… but sometimes all you need is a tasty beverage. But what? Whiskey? A Dark Lager? Both? The outcome, a delightfully smooth, warm and rich District Whiskey Barrel Aged Dunkel. Jay describes it as malt forward with notes of toffee, raisin, vanilla and chocolate, with a rounded finish of oak and Canadian whiskey. The non-professionals have described it as “Woahhh, that’s incredible”. Some would even say “crafty”.....or maybe it’s a “slam-DUNK” if you will. If you are feeling adventurous, looking for a stocking stuffer, or just feeling crippled by decisions. 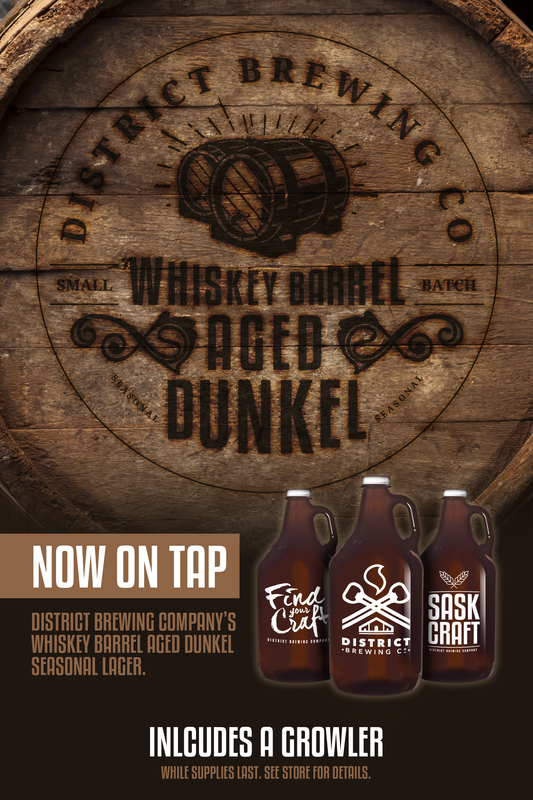 Head over to The District Brewing Co., or the Quance SLGA, and grab yourself a growler of this limited edition, small batch brew. You can get one for a “friend” too.